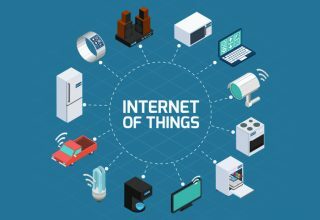 The Internet of Things (IoT) is the term we use to describe devices that are embedded with sensors and software and which connect to the Internet. This connectivity enables them to exchange data and carry out additional functions: an IoT bin, for example, can read the barcodes on your food packaging and add a replacement to your next online shopping order. IoT devices are now becoming a regular feature of our lives and, in the future, they are likely to become commonplace. This will have an impact on our homes, our work and the towns and cities in which we live. Surprisingly, there are nearly 2 billion IoT devices already in use, though this number is expected to grow to a staggering 9 billion by 2020. By this time, the global market for IoT products will have swollen from $1.3 trillion to $3.04 trillion. If you’re looking for a career in IT, there’s never been a better time to start working in the IoT industry. Today there are just 300,000 developers, it is expected that in two years’ time, there will be a need for an extra four million of them. With every advance in miniaturization, wireless connectivity and data storage, the potential of IoT grows. Here are some examples of how it is having an impact ondifferent areas of our lives. IoT enabled devices can provide augmented intelligence to consumers, giving us access to useful data that helps us make more informed purchasing decisions. High street retailers are already trialing apps which enable you to walk around your home with your phone and see alternative flooring or furniture which you can purchase using the app. All you need is a special camera, which fits on your phone and takes real-time 3d readings of the room so that everything fits perfectly even if you are moving around. Disney is another company using IoT. Their guests are provided with RFID wristbands, such as those available from Universal Smart Cards that, when placed near a reader, connect customers to their accounts and let them make purchases, access rides and open hotel rooms. IoT, in conjunction with Bluetooth, is already enabling companies to optimize their processes and make increased efficiencies. By putting Bluetooth tags on stock, equipment and vehicles, businesses can collect and analyzereal-time data about asset location, stock levels and even the condition of critical equipment. If there is a fault with an industrial machine, this IoT system can find it out before the equipment fails, preventing operational downtime. Lots of businesses are taking advantage of IoT. Dubai Aluminum, for example, used data from IoT devices to increase fuel efficiency by 1.5% and increaseproduction by 3.4%. FedEx, which tracks the location and travelling times of its delivery fleet,has used the information collected to save $9 million a year. 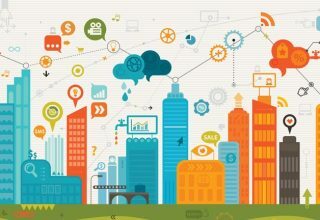 There are plenty of ways the IoT can be useful in urban areas. IoT CCTV cameras, for example, use AI to recognize suspicious behavior, use facial recognition to track and identify individuals and, as the entire CCTV system is connected over the Internet, can follow a suspect from camera to camera as they travel through the city. This can also be used in conjunction with traffic systems to help cope with heavy traffic or prevent congestion in the event of roadworks or an accident. IoT devices can also be used for things like street lighting and waste management. The US city of Cincinnati saw a 17% reduction in waste and a 49% increase in recycling when it used IoT enabled bins to monitor those who exceed its waste limits. This was incentivized by charging exceeders on a ‘pay as you throw’ basis. 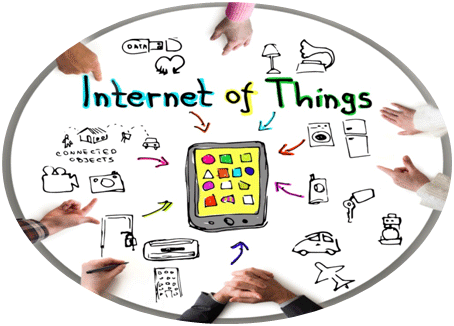 IoT devices are being used on a national level for the benefit of everyone. Most of the busiest sections of the UK’s motorways, for example, are now ‘smart motorways’. Traffic sensors are used to reduce speed limits, open up hard shoulders and display written warnings to drivers if there’s heavy traffic, poor driving conditions or an incident. In the NHS, there are already smart devices which patients can use at home to measure blood pressure, heart rate and blood oxygen levels. These devices report the results directly to the patient’s GP or district nursing team and will flag up issues, which require further examination. For anyone considering a career in IoT, there are plenty of opportunities for those wanting to make improvements to its security. With 70% of IoT devices being vulnerable to hacking, including TVs, webcams, thermostats, smart hubs and even IoT door locks, there are a number of issues that still need rectifying. Privacy is one of the main issues. Around 80% of devices have privacy concerns, particularly when it comes to the collection of personal data, like credit card details and email addresses. Lack of encryption is a real problem for many devices, especially when the data is in transit, meaning it could get stolen when being sent from the device to the Internet. Another issue is the vulnerability of a device’s interface. 60% of products were found to have weaknesses, which included persistent cross-site scripting. This enables an attackerto inject malicious code that can infect the device with viruses and ransomware or be used to steal sensitive information. Poor session management and authorization are also problems. 80% of IoT devices don’t even require users to use a complex password, making them easy targets for brute force hackers who use sophisticated software to crack passwords. 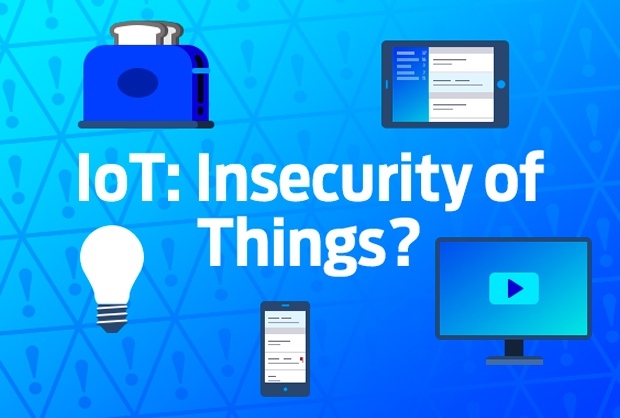 One of the reasons for IoT’s security issues is that many of the products on the market are being developed by smaller startups that lack the resources and know-how to improve security. It’s a new market in which fledgling companies are still learning about the environment in which their products will need to function.Whilst most companies now understand the need for security, many of the first IoT products to hit the market are still vulnerable – some of them don’t even have the capacity for a firmware upgrade that close security holes. For us to make the most of IoT, there are other challenges that need to be met. One of these is Big data. The amount of data collected by IoT devices is enormous. If a company has a million customers and collects just 1MB of data, per customer, per day, that’s 365 TB per year. All that data has to be collected, stored, processed and analyzed. For an effective IoT, there needs to be speedier connections, bigger storage and faster processing. Other elements of the IoT infrastructure also need improving. 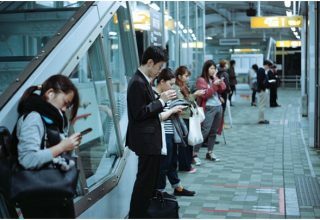 For example, there is a huge demand to extend wireless connectivity. While certainly less expensive than using cable connections, wireless systems can still be expensive. There is a need to find more affordable solutions, especially if we want to bring the benefits of IoT to the third world. The Internet of Things is opening up our world to a wide range of new and exciting possibilities that can enhance our lives in so many ways. Whilst there are many devices already on the market, we will see numbers increase substantially in the future. However, this technology is, in many ways, a work in progress. There are still vital improvements to be made in security, data analysis and wireless connectivity in order for it to fulfill its promise effectively.